Mother’s Day is around the corner and she’s the most important person in your life so let’s not wait until last minute to get her a gift. Here are some of our fun Fluff finds for the moms who have everything. 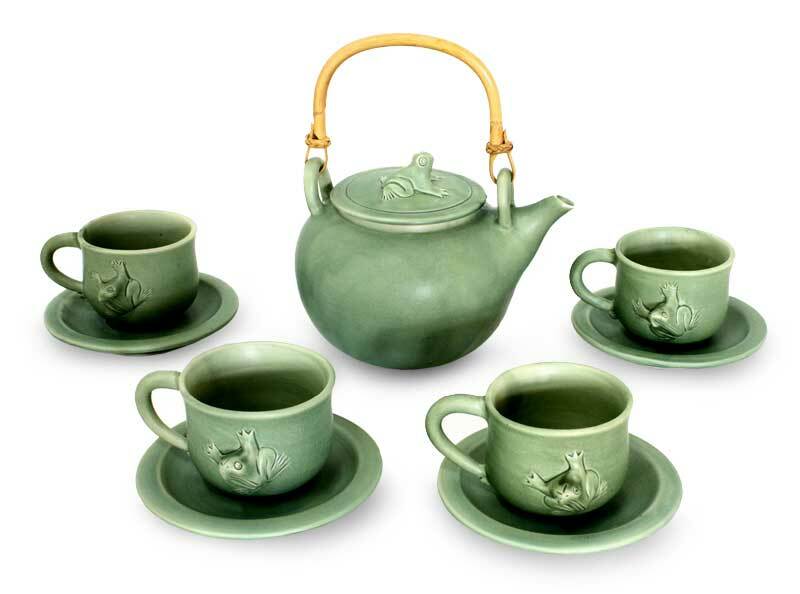 She might have given you your first tea set so why not spoil her with this fun and quirky one! Keep mom ahead of the tassel trend with an update on this pearl necklace. If it’s good enough for Napoleon and French royalty, it’s good enough for mom! These amazing luxe candles last for hours after you blow them out so the perfect gift really! Your mom has probably lived a long and full life. Let her savor all of those stories that the both of you will treasure forever with this chic journal. The best part about being an adult is having girl time with your mom — and you can bring the wine! Get your mom a set of these pretty hand-blown wine glasses and bring your favorite bottle of wine and treat that special woman in your life! Start off with these sunnies and then surprise your mom with a sunny weekend getaway! Give her a bouquet of flowers and this beautiful vintage piece from the 1940s that will never wilt.